Today there are many alternatives to a glass splash back for your kitchen. 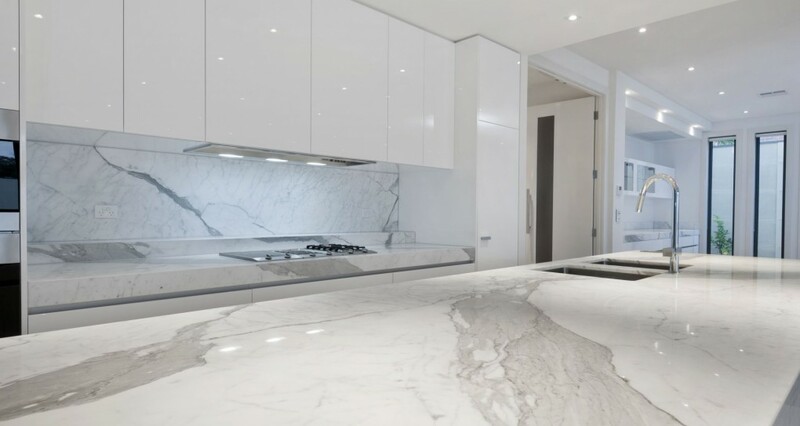 Let us start with using a natural stone splash back, which offers the ability to book match the veined pattern from the bench top to the splash back. This does create an amazing and sophisticated look to your kitchen. Really the only negative is you should clean the splash back after cooking so that any oil is not left on the stone. Tile splash backs can really make a great design statement for your kitchen. You can uses mosaics and create a unique design pattern. Here i used 5 different pearlescent mosaic tiles to create a snake like pattern. This pattern is a custom one off design , which made this kitchen design a spectacular success. 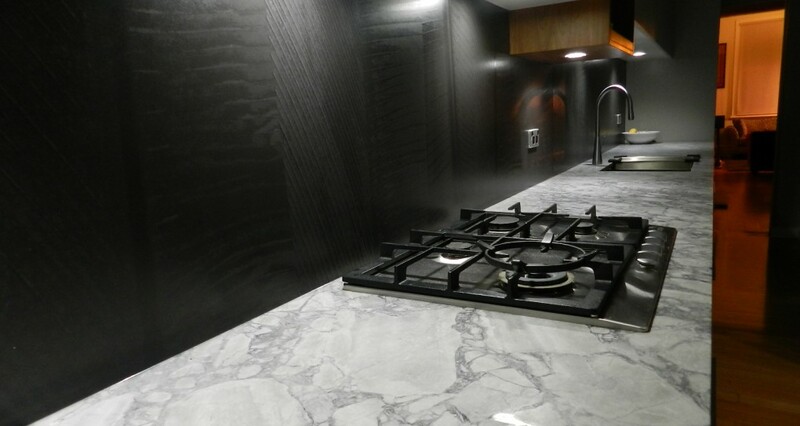 Another new product is Laminam, which is a sheet formatted tile , it is 3mm thick. The sheet sizes are 3000 x 1000mm. There are some amazing patterns and textures. It is installed much like glass, but can be cut on site so there is less fabrication time. Means you get your splash back installed quicker. I have used the product as a kitchen splash back with unbelievable results. It is a product that requires a specialist installer. But as you can see from the charcoal snake like pattern used for one of my clients, it really creates a unique kitchen design. If you would like to find out more about how your kitchen renovation can be customised and something really special contact me. 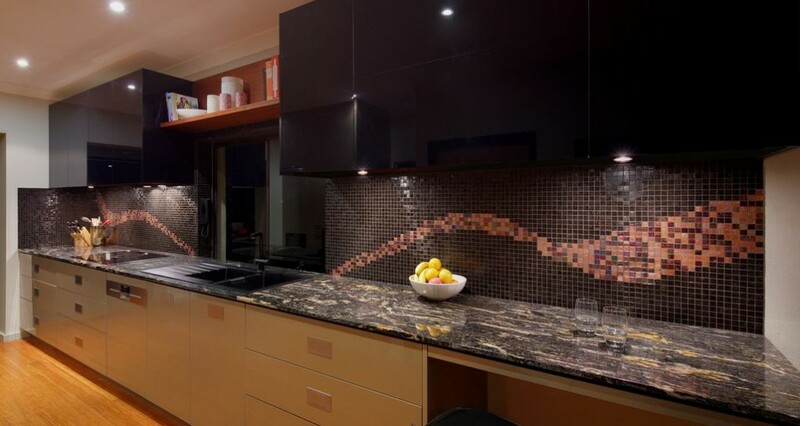 This entry was posted in Kitchen design, kitchen designer sydney, Sydney kitchen designs, Sydney modern kitchens. Bookmark the permalink.